Remember when I whined about having a lot of tomatoes? That was the same week I received a lot of apples. And a lot of pears. Not in our CSA box, though, but from a friend who has bulk produce connections. Does your CSA farm have fruit trees? That would be rad. Let’s start with apples, shall we? We’ve just been eating them like we usually do — in oatmeal, with granola, as afternoon snacks. I tried to make apple chips in my dehydrator, but I my girls kept eating them as they came out. After three full batches I had about 12 left. Then we ate those, too. After going through my apple recipes I was surprised to see that I have more non-dessert recipes than I do dessert recipes containing apples. 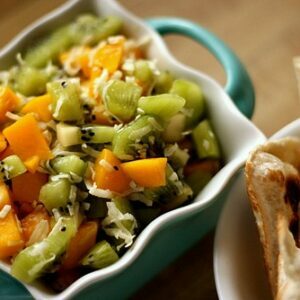 Does that mean I’m trying to infiltrate my meal recipes with more fruit to make them sweeter? Dunno. Luckily apples keep forever in the fridge, but I didn’t have room for the pears so they ripened all at once. After canning 14 jars what felt like a whole freaking truckload of salsa, my inexperience canning brains were kind of jumbled. And my feet hurt. No more canning for this girl until next year. Then I’ll tear it up. What did I do with them, then? What is this little spoon of deliciousness? This, my friends, is pear butter. But not just any pear butter. It’s Ginger-Cardamom Pear Butter. My favorite part? There’s no sugar in it. Why fruit butter recipes call for loads of sugar is beyond me. This jar of gold didn’t need it at all. I’m in love with this stuff. I may be the last person on earth to make a fruit butter. That’s OK. Up until a couple of weeks ago, I was also the last person on earth to make fruit sauce. Oh, the hurdles I’m jumping over, folks. 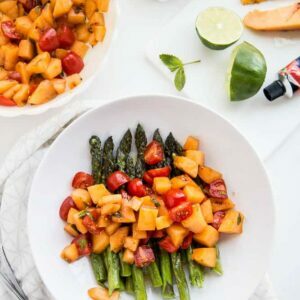 Throw fruit into slow cooker. 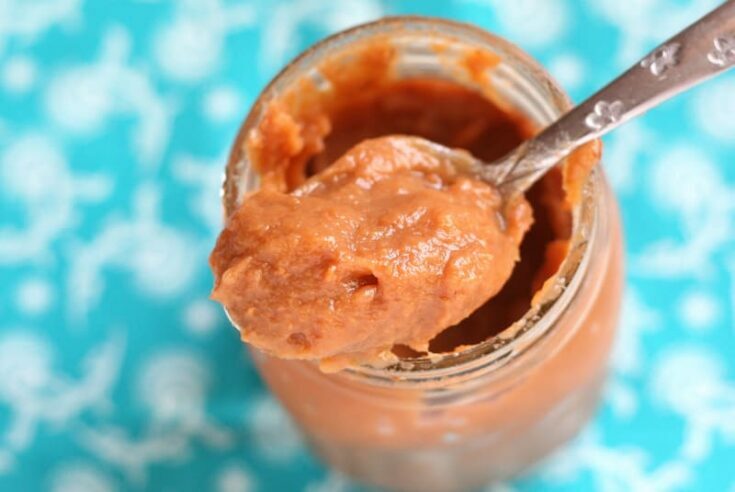 Throw pear sauce back into slow cooker. Want the detailed version? I’m about to freak out the “must have measurements” people, so I apologize right now. I didn’t measure. I just did it. You really can’t mess this stuff up. 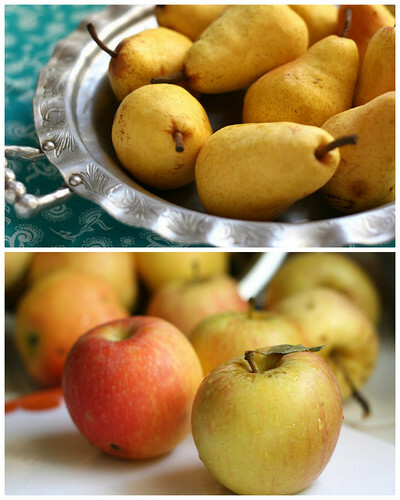 Load your slow cooker up with pears and make some pear sauce or some pear butter! 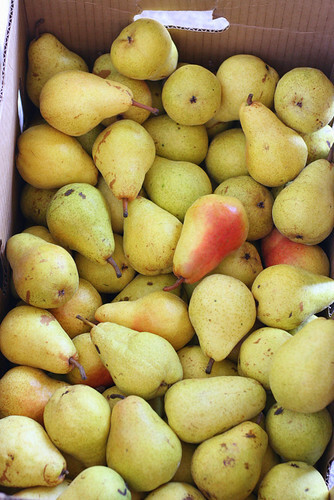 Fill a 6-quart slow cooker with pears. Add the sliced ginger and cardamom pods. Pour about a cup of water over it and cook on low for 4-5 hours, until pears break down and it starts to look saucy. Remove the ginger and cardamom pods and blend with a hand blender. Or transfer to a blender and process until it's as smooth as you like. Some people like chunks. I don't. At this point, taste it. Add sweetener if you feel that it needs it. Pear sauce is done! I got three quarts out of that batch. I believe you can preserve it at this point. Don't quote me on that. I'm not ready yet. To make pear butter... Fill a crockpot at least 2/3 full with pear sauce. (I put 2 quarts of sauce into a 2 1/2 quart slow cooker.) Add more ginger slices and cardamom pods. Turn the slow cooker on high and instead of putting the lid on, tent it with foil so the steam can escape and shield from splattering sauce. 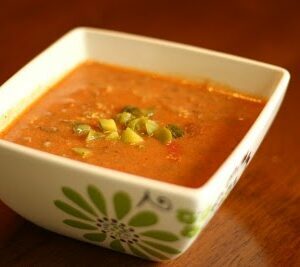 Cook for 2-3 hours, checking frequently to stir it around and to check the consistency. When it's as thick as you like, taste it and add any more spices or sweetener if you feel it needs it. My two quarts of sauce cooked down to just over a pint. Given how many apples I eat a week, having too many apples is never really a problem for me. I do love them in savory dishes! I definitely want to try that galette! Joanne – You'd love that galette. It's really sweet, though, and tastes like a cross between an apple and pumpkin pie. Three Little Piglets – I SO wish I could get fruit in exchange for service!! How lucky were you guys! So pear butter, or even apple butter for that matter, is just pears cooked, then blended, then cooked again? That's it?? I second what Amy said… That's it??? Why have I not been doing this since forever ago?? Amy & Kathryn – Yep! That's it! 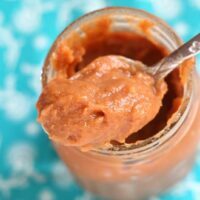 Some pear butter recipes have a bunch of stuff added in (spices, sugar, etc.) but basically that's it… just cook it down until a lot of the moisture is gone. I liked mine almost "naked". It was plenty sweet! I've been cooking my pear butter for almost 24 hours in the crockpot- it's still really watery – not your recipe, but a different one. I had the lid on overnight – duh, but today the volume still isn't going down? Any suggestions? Making this now & my kitchen smells fab! Would it be a bad thing to leave the ginger in?